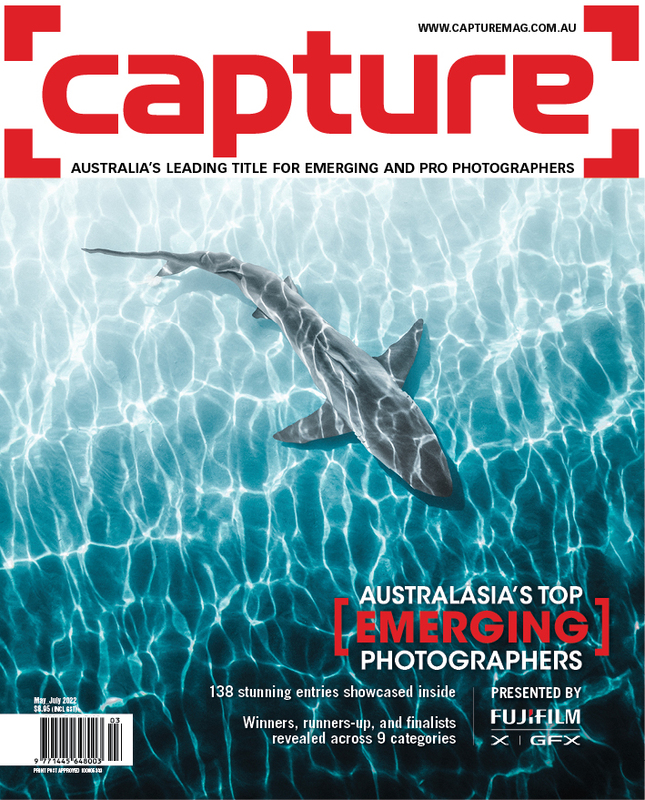 Three leading professional photographers – Marcus Walters, Marcus Bell and Jacqueline Mitelman – talk to Rob Ditessa about the finer points of their craft, from lighting and camera technique to working with people and the constant search for new approaches and ideas. In wedding photography or photojournalism the photographer is an observer capturing the moment, but in portrait photography the photographer is really creating a moment through conversation and interaction with the subject. So says Marcus Walters, a busy professional portrait shooter based in Sydney's Bondi. His client list includes the National Geographic Channel and many leading actors. At the beginning of his career, the two pivotal elements of the craft locked into place for him when he realised he was focusing too much on the technical side – composition, lighting, and posing – but forgetting about the person. Shooting that way, says Walters, you may capture an image technically well, but you won't get an image with the magic that prompts a viewer to say they can understand your subject. "We don't just capture a moment. We've actually got to be part of the moment in order to create it," he says. Marcus Bell, an award-winning photographer who owns the leading Brisbane-based photography business Studio Impressions, has his own interpretation on this element of portraiture. He believes a portrait must be a true representation of the person. The challenge is to create something that just lifts above everything else, which people can't compare with anything they've seen in a magazine or a newspaper. 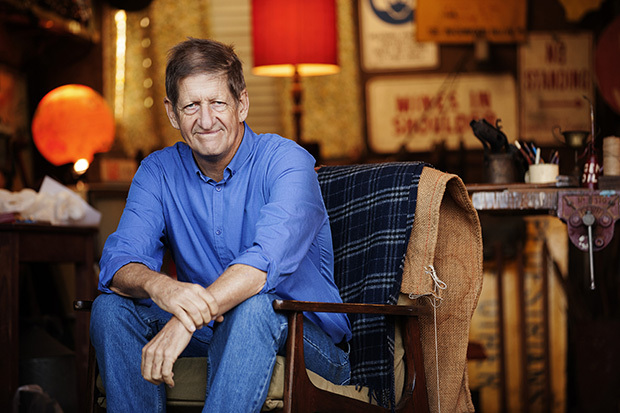 2006 Australian of the Year, scientist Ian Frazer. Photo by Marcus Bell. Lens 85mm f/1.4 @ f/1.4. Taken in natural window light, the original was a tight headshot. In post-production Bell decided to add the black part of the frame at right to include negative space in the image. Image © Marcus Bell. "That's where it comes back to creating an instant rapport, so people feel comfortable and let their guard down, and because you've let your guard down, it just all flows," says Bell. Another portraiture veteran, Melbourne's Fitzroy-based award-winning photographic artist Jacqueline Mitelman says that all her techniques have now become instinctive. She likes people, the process, what she terms the interpretation of the person, and points out that the moment when you choose to press the shutter button is very subjective. "What I'm trying to do is have some direct and uncomplicated flow from the subject to the viewer," says Mitelman. "People are uncomfortable. There are all sorts of circumstances where it's good to take pictures of people who are uncomfortable, or angry, or awkward, but in my general portrait practice, that's not what I'm seeking. I'm seeking to have a communication between the subject and the viewer that is clear and lucid." Mitelman's studio, located in her house, has large windows which admit ample natural light, allowing Mitelman to photograph in any part of it. It suits her style of work as she doesn't use fixed lighting set-ups. Various backdrops include hessian for light backgrounds. Recently she used black velvet on the wall because she wanted daylight, but with a totally dark background. She likes to pose the subject facing straight onto the window where the background goes into a blurred dark space but she will sometimes explore the possibilities of different perspectives, working with her subject, asking them to move about. "Often you take people in, say, a three-quarter shot for profile with a slight leaning in either left or right of the face. Given the asymmetry of faces, people look extremely different from one side to the other. One of the things I'd suggest to portrait photographers is that they look closely at their subjects turning this way and that." Underscoring the psychological importance of all the elements in a portrait shot, Mitelman asks subjects to bring three or more tops with different necklines, and she prefers clothing of a style that won't date the image. The darkness or lightness of the clothing makes an enormous difference, she says, as does what's around the neck, because a naked neck suggests a certain vulnerability. She says that unless a man is good looking, in an image of a man with a T-shirt you suddenly have a little neck and then the head on it. Her preference is for men to wear shirts or higher necklines, and plain colours, even if in highly textured materials, and her advice for them is to not have a haircut just before their appointment. Xavier Herbert by Jacqueline Mitelman. 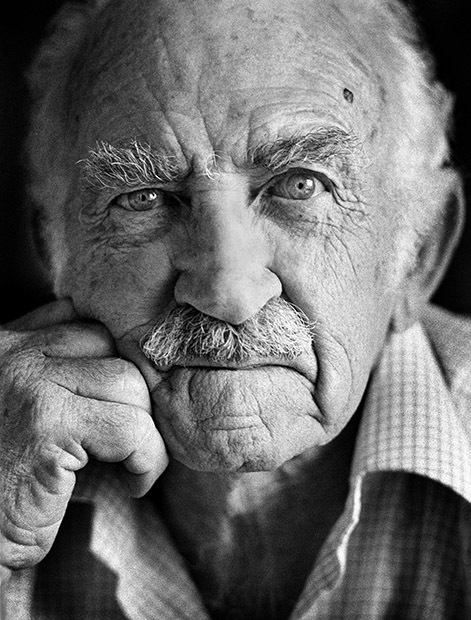 Mitelman says, "I flew to Cairns to take photographs of the great writer," says Mitelman. "At that time – in the early eighties – Herbert was an intense, energetic, and still feisty, 82-year old. He offered opinions on everything, and made me lunch – steak and potatoes. I liked him immensely. His long-time partner and muse had recently died, and he confessed that he couldn't imagine living without a muse, the love of a woman. In the ignorance of my then youth, I couldn't imagine this desire would ever be fulfilled. About a year after I had taken his photograph, I was proved wrong. I read in an interview that he'd found a new devoted partner. The photographs were taken in and around his tropical home, all using available light and Tri-X film." Image © Jacqueline Mitelman. Walters shoots the majority of his work in a studio, using natural light from a window, combined with either studio or keynote lighting, because he finds there is "a certain magic" in using natural light. There is a clarity in the eyes that is totally different in an image taken in natural light in comparison to studio light. As well, the constant flashing of studio lights can put a subject off. "So there's more of a spontaneous feel to it, which is the key point, the spontaneity of natural light." The biggest mistake, he says, is not to look at what you're seeing through the viewfinder. Take the time to observe, for instance, if there is too much shadow underneath the eyes, and if catch-light is hitting the nose. The catch-light, its size and shape, can make an image. "It's a small thing, but it's the small things, the subtleties in an image, which can make the overall image an amazing one," Walters sums up. Bell pre-conceptualises his shoot, but always has a backup plan, an idea he learned from several famous photojournalists he got to know. Once he's captured the image to complete the assignment, Bell takes the opportunity to push the envelope if he has the time and the subject's permission. He will start to play with the lighting even more, and change the exposures, which, especially in a controlled environment, can make a difference in the feel of what he actually captures. In the studio he likes to recreate window-style lighting using three lights. "The main light is placed to the side and a little forward to the subject," says Bell. "The second, a less powerful one, is placed directly in front to reduce the shadows. The third light may be either a background light or a hair light. Most importantly, however, is a foam board on the opposite side to bounce the light back, again to reduce the harshness of the light. One more important item to note is to have the main light up high and directed down, enabling the shadow of the nose to point towards the lip." H G Nelson, sports broadcasting identity. Photo by Marcus Walters. "This was a relaxed 'lifestyle' image, shot for National Geographic Channel," says Walters. Canon EOS 1DS Mk II, 70-200mm f/2.8 Canon lens (shot at 160mm), f/2.8 @ 1/100 (ISO 400), natural light plus one white reflector. Image © Marcus Walters. When it comes to metering and exposure, these portrait shooters rely solely on their intuition, although Mitelman likes to take a look at the in-camera meter information. Bell explains that as you learn to understand colours and tones and know that, for instance, a person in a dark suit against a dark wall is going to throw off the light meter, you learn how to compensate and adjust for that. He uses the histogram to make sure he has the intended feeling in the image. "I think a nice aspect of digital photography is that it allows you to purposely underexpose, say by three stops. Where you're using really good quality light, it's very interesting how you can capture the profile, somebody's face, or the light, and then make everything a little bit darker." Walters recommends every beginner should always use a light meter to learn more about light. He says the look you want to create and the lighting conditions determine the exposure settings. In very contrasty light where the shadows are quite black, take a light meter reading from the brightest patch of the image, and in diffused light, try for the mid tone, he suggests. He says that in some images you may want to make the face a bit darker to add a bit of mystery, but that comes down to your creativity and what you're aiming to achieve. Bell enjoys working with original RAW files and finessing his images in post-production to communicate the subject's story. In post-production Mitelman uses Photoshop for small retouching with light and dark, and sometimes sharpening. Like the others, Walters aims to get everything correct in-camera because, as he says, you don't want to be messing about afterwards, and post-production is not about fixing mistakes. He uses it mostly in actors' headshots and similar work to match the mental image of the client with the actual image by making little tweaks using a mixture of elements, but none in particular. Depth of field is a great tool, Bell adds, for placing emphasis on a subject in an image by using a shallow setting. Creating separation for a subject from the background is important. It can be done with either lighting or depth of field. His favourite lens is the Nikon 85mm f/1.4. "The f/1.8 version is a great alternative for photographers on a budget. There is now a lens on my wish list and that is the 58mm f/1.4." Walters shoots his portrait work on a Canon EOS 1Ds Mk II with a 70-200mm f/2.8 telephoto lens and uses as shallow a depth of field as possible. His other lens is a 24-70mm f/2.8, which he says is useful in small spaces or for group portraits, but he points out that a shorter focal length can cause distortion of the image. The compression created from the use of a longer lens creates a more flattering face and a very shallow depth of field brings all the attention in an image to the features of the face. The background becomes a mixture of light, colours, and tones rather than something that's distracting. He adds that by using this technique you can control where the viewers' eyes travel in an image. Norman Reedus, actor. Photo by Marcus Walters. Walters says, "I was looking to create a ‘James Dean-esque' image. This was taken for the FX Channel." Canon EOS 1DS Mk II, 70-200mm f/2.8 Canon lens (at 180mm), f/2.8 @1/640s (ISO 160), natural light. Image © Marcus Walters. Mitelman now uses a Canon EOS 5D Mk II SLR on a Manfrotto tripod, with a 804RC2 three-way pan-tilt head, which she says is easy to carry. Until recently she used a Nikon D70 SLR, and a Nikon F. With her favourite lens, a 70-200mm telephoto, Mitelman says she can go in and out from a torso to a close up without having to move too much and without having to encroach on the subject, while sometimes using a ‘bounce board' for lighting. When you are near a person, she notes, you're looking at their eyes and you have to readjust your eyes to make their whole head come into focus. She can recreate this feeling with the long lens, and narrow depth of field which she says captures very good anatomical detail. You don't have to have your lens right in the middle, and your shutter speed really fast, because you can do all sorts of things in all sorts of poor lighting conditions. Even using candles or lamps, photographers have produced very interesting pictures, she says. Jacqueline Mitelman: Pointing out that if people feel comfortable, they're going to look comfortable, Mitelman says she spends some time trying out different positions. "I've got a very nice chair. It's a good height for people to lean on. So, they stand behind the chair or lean on the back of it, which is physiologically very comfortable because you're looking over but you've still got a barrier in front of you. Also it means you can do pictures with the hands, upper torso with hands on the back of the chair, or you can just do a closer up head shot. I say, ‘Turn this way, and how do you feel?' whether they're standing or sitting." She adds, "Sometimes I say to them to think of something that amuses them, but not to smile. If they do, it often adds something. It means they have light and sparkle in their eyes. It's very rare that I would take a portrait of someone laughing or with a big smile – it wears them out!" Marcus Bell: Bell says, "Rapport is most important. It's your personality which can connect with the subject, making someone feel very much at ease, very comfortable, very quickly. The subject must always know that every image you're taking of them is the perfect shot. Professionals can be very critical of themselves. If you say ‘Oh, that's not quite right', the subject will feel that it's a reflection of them. What you say is very important, and it has to be positive." Governor General, Her Excellency, the Honourable Quentin Bryce. Photo by Marcus Bell. Lens 35mm f/1.4 @ f/1.4. Natural window light to the left of her honour. No other reflectors used. Marcus Bell says, "In Photoshop the image was darkened down overall; I slightly dodged around her face and then burnt in around the edges and right-hand side of the image." Image © Marcus Bell. Bell offers the following advice for beginners in portraiture: "If you set up a lighting arrangement with two or three lights in a studio or a makeshift studio at your home, experiment with lighting the subject to get a certain feel. You can either change your angle, or try shooting your subject from the other side. Look at what the light is doing, and then adjust it, and move the subject around slightly to maybe get more of a 'rim light' effect, or maybe make the front of the face a bit darker. Sometimes it's not a matter of moving the lights, but rather you moving. Try posing your subject in front or to the side of a soft box to get a silhouette. There is no right or wrong way to do things, and when you see an image you like, take an overall picture of the lighting set-up, possibly with a wide-angle lens, or draw up a diagram. That you way you can go back and use that lighting set up at a later date. One of the best ways to practice is to have a room you can close off with one window and some blinds and curtains. Then alter the amount of the light coming into that room, and place the subject in various positions and places where that light falls. There's so much you can learn from this – understanding where the subject should be positioned, and how you can alter a light to achieve certain effects." Michael Leunig, cartoonist. Photo by Jacqueline Mitelman. "The Leunig shot was taken at his property in the country," says Mitelman. "I took photographs of him with the lovely little dogs who feature in his work, and under his favourite lemon tree. Unlike the serious, morally burdened image I finally chose, he was a joyous person, full of the love of life. I shot in both black and white, and colour film. The photograph I chose was in colour film. I had the negative scanned, and the final image was de-saturated and worked in Photoshop." Image © Jacqueline Mitelman. 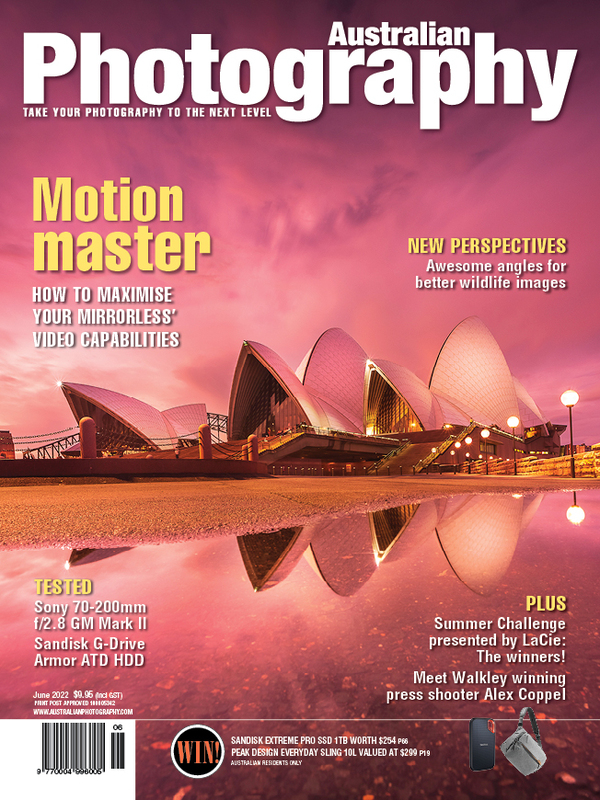 Article first published in Australian Photography + digital, February 2014.